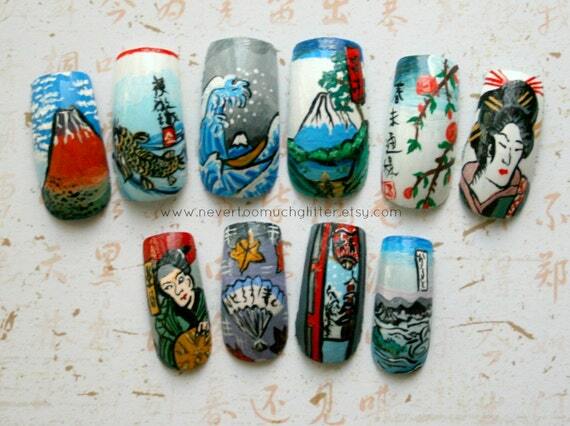 And more nails from the Tokyo Nail Expo 2009! 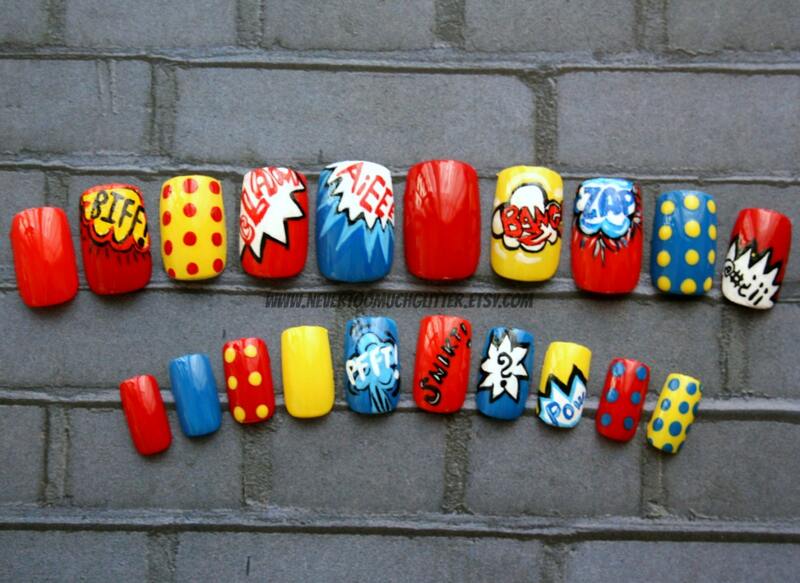 I have some frankens I want to show you soon, but these crazy nails are just too amazing not to show you today. 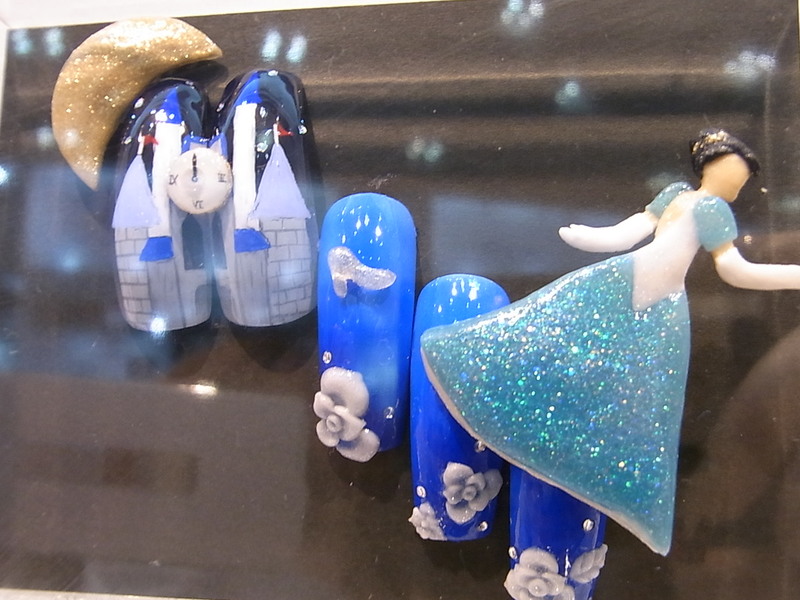 Yes, the Cinderella is attached to the nail. This one features a glass slipper, acrylic flowers, a moon, a clock, and the Prince’s castle. Personally, I would have made one hand Cinderella the abused house-maid and the other hand Glamour Cinderella. Wouldn’t a tiny scrub brush and bucket look cute on a nail? 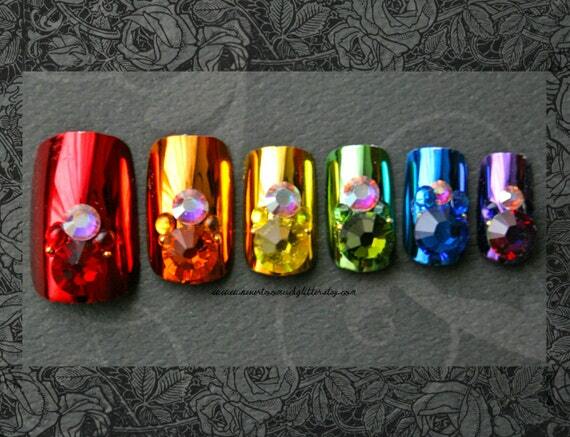 Are these amazing or what? All handpainted. I think it’s supposed to be a stained glass window. I’d never wear these, but they are true works of art. 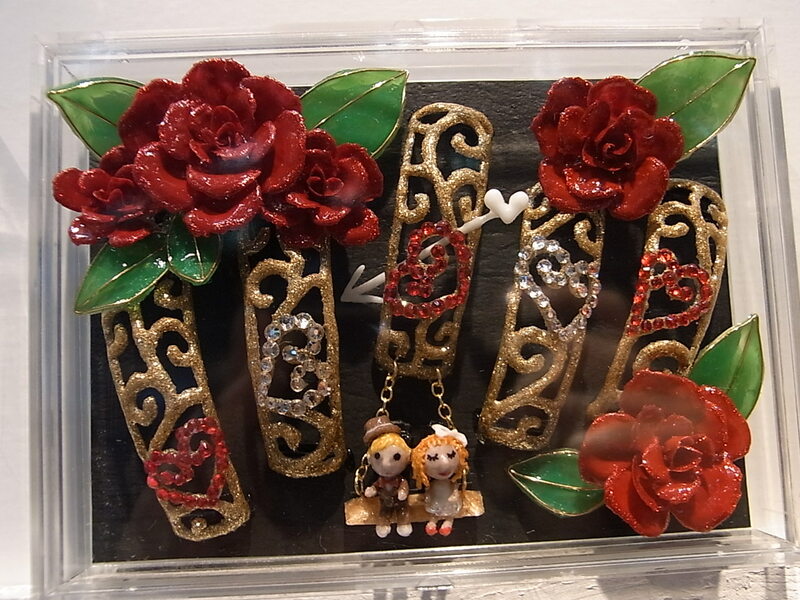 These nails are carved out in a filigree design with giant roses, Cupid’s arrow and a swing. Very unusual design. Don’t the little people on the swing get seasick from flopping around all the time? And….what the heck is this? How does it fit in with the love and soul theme? 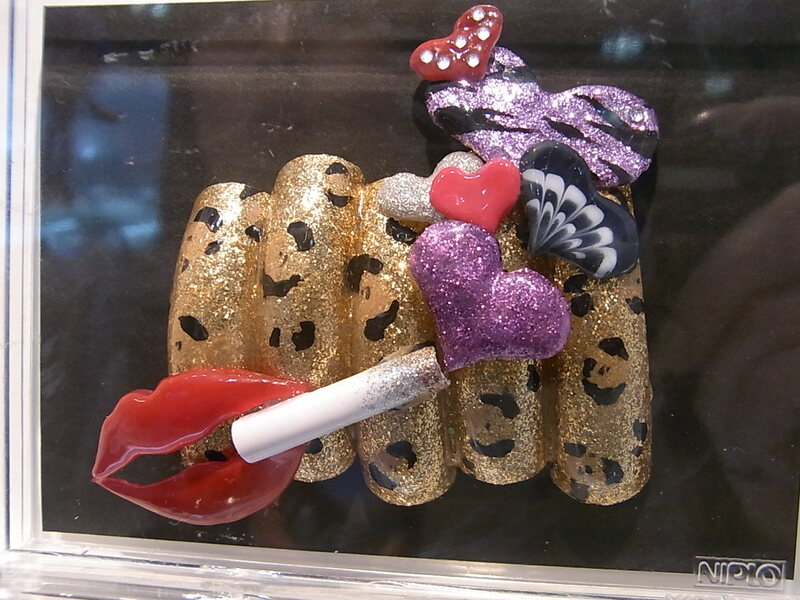 Leopard print nails, hearts, sleazy red lips, and a cigarette that apparently gives off second-hand glitter hearts. Beware of the glitter lung! Very strange indeed. 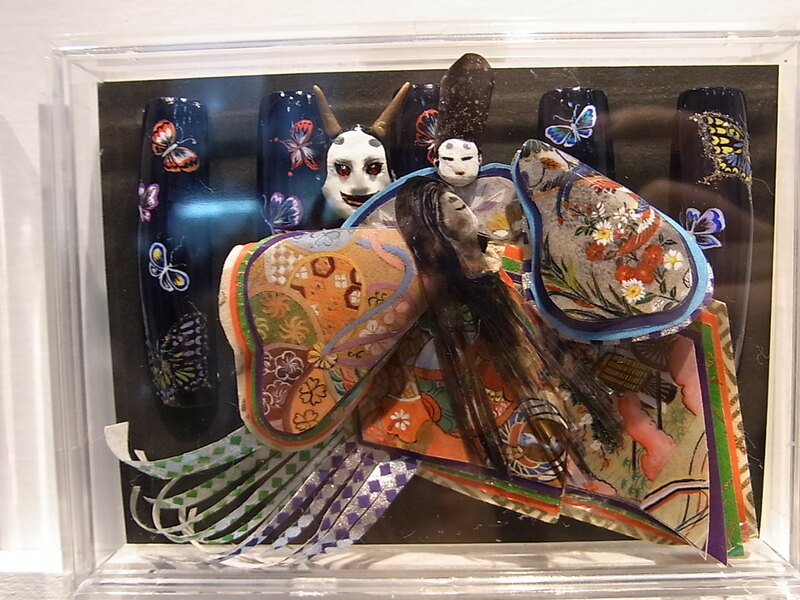 This entry was posted in Japanese Nail Art and tagged awesomely tacky nail art, Japanese Nail Art, tacky beyond belief nails, Tokyo Nail Expo, wacky nails, wow...just wow. Bookmark the permalink. How the heck did they CARVE the nails?? that is craziness!! amazing to look at. your sense of humor is too funny…second hand hearts!!! 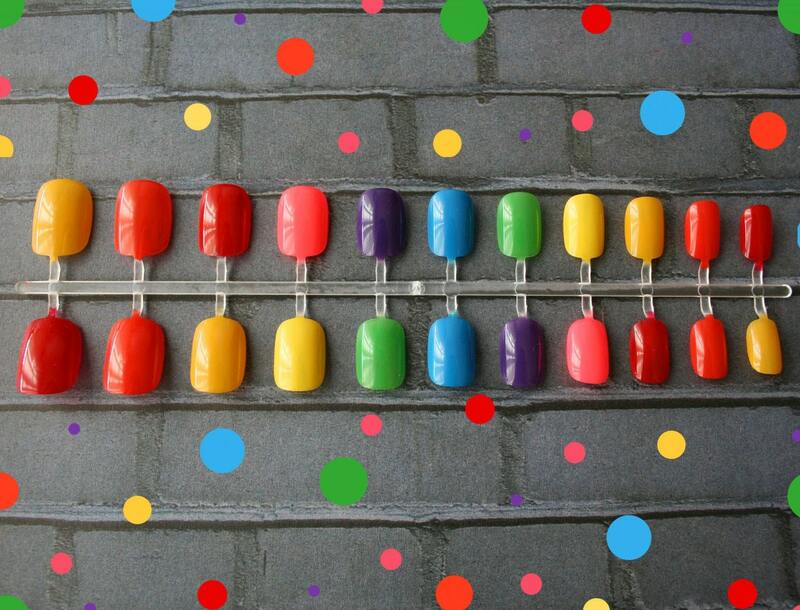 I had a question, when mixing nail polish, how much do you mix for 10 nails? Hi there! I mix a puddle about the size of a US or Canadian quarter in a silicone muffin tin. The muffin tin is about the size of a mini Reeses peanut butter cup wrapper and in fact that’s what it looks like. 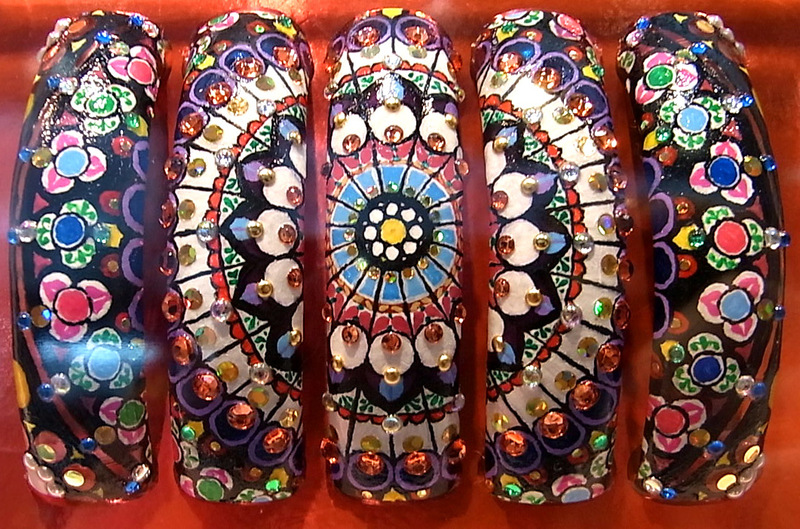 The stained glass nails are beautiful just as an art piece. I hope all of these are just art pieces. Just for looking at and not for wearing. Me too! They do have to model them in the competition, but I missed it. The Japanese will definitely wear wackier stuff than other people, but these might be too much even for them. Amazing indeed,.. It always is when these girls get on with it.